MIIEGO UNITED KINGDOM | MIIEGO® AL5 PERFORM RECOMMENDED IN ATHLETICS WEEKLY! MIIEGO® AL5 PERFORM RECOMMENDED IN ATHLETICS WEEKLY! AL5 PERFORM Wireless Sport Headphones from MIIEGO® have been featured and recommended by the UK sport and running magazine ATHLETICS WEEKLY. 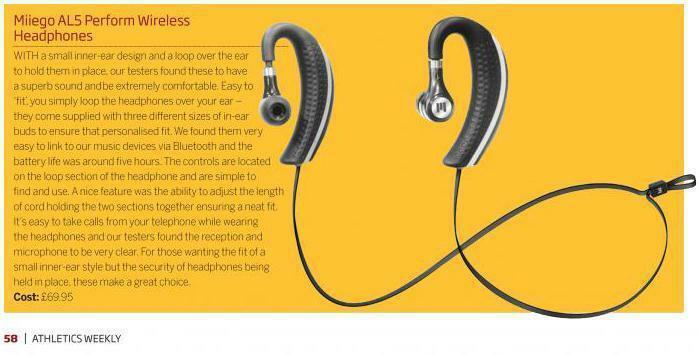 Selected quotes from the review: “Our testers found these to have a superb sound and be extremely comfortable”… “For those wanting the fit of a small inner-ear style but the security of headphones being held in place, these make a great choice”.